Although Walter Grimm belonged to an old and distinguished family of werewolves, he was different. 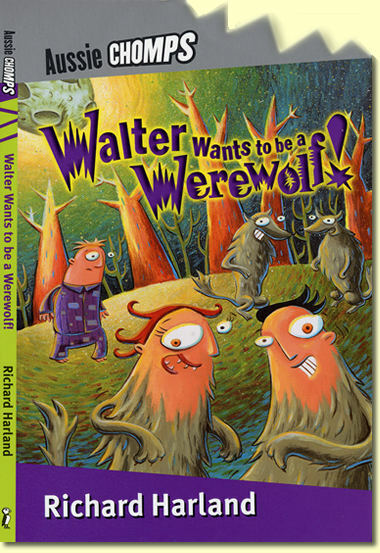 While the rest of his family changed into their wolfish form every time there was a full moon, Walter's skin only developed smooth grey-brown patches. Walter Wants to be a Werewolf! is published by Penguin, in the new Aussie Chomps series for 10-13 year old readers.